Rate this Article There are several positive effects of letting children play horse simulators. There are many reasons why developers create a game. It would depend on their targeted audience. With horse simulators, developers claim to create a game that is both friendly and beneficial for children and even teenagers. If you’re a parent and your kid asked you to buy him or her a horse sim, naturally, you’d want to ask yourself what benefits you can get out of doing so? It’s a sad fact that games can be detrimental to children’s development if not managed properly. However, you need not worry about that when it comes to horse simulators. 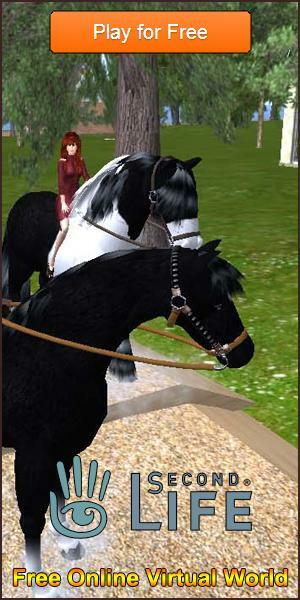 One benefit you can get out of playing horse sims like Planet Horse is that it reaches children about responsibility. Being a horse trainer -- albeit a virtual one -- it is their responsibility to bring the horse up properly so it can perform in events as intended. This would include getting the right equipment for the horse, training it well so it can build its skills and, of course, feeding it and taking it to rest. Children might be tempted to take the horse out to its limits, but some games disallow that by simply ending a run when the horse’s stamina has run out. In other words, young minds are conditioned not to abuse the horses. This is a good start to make your child animal-friendly. Children also get to feel a sense of achievement when playing these games. There are a lot of missions and rewards that they can get in-game if they manage to accomplish certain tasks within the game. This builds up their self-esteem, in a way, as they realize that they can do something and achieve success. Of course, they develop an understanding for what it is like to be a horse trainer or racer! That might be one of their chosen career paths in the future; hence, playing these games could give them a solid theoretical foundation that can then be enhanced with training. Horse games are also social in nature. Games like Alicia Online allow players to explore a world and meet other players, whom they can be friends with and whom they can initiate “player to player” matches. They don’t, of course, fight with these people - they race! Finally, children like graphics a lot. There are plenty of games with excellent imagery out there in the market, and most of them are free to play. You need not spend money just to get your children to play the game. Games are not totally bad for children. Some games are geared especially for our little ones, and these ones are designed in a way that our kids do get something out of them that’s positive in nature. It’s up to us as parents to regulate how much time they spend playing so that they can still have time for other things that help in their development as children.